We can offer a place at our family orientated school, with a compassionate teaching team and understanding management. You would be paid under the Convenio X under the Secondary teacher scale. We can also offer free child places or subsidised accommodation as part of the contract. Interviews can be held in person or via Skype. Sage college needs a long term supply teacher with B2 min English and a specialism/ interest in Music or ICT to cover a teacher who is on sick leave. The position is for 16 hrs per week, teaching mainly in primary. The position will be paid as a primary teacher pro rata under the Convenio X. The school can also provide subsidised accommodation if needed. Sage College need a permanent English auxiliary to work alongside the KS2 English teacher.You will need C1 level English with experience of working in a classroom.situation and can work under guidance and with initiative. This position is for 33hrs and is paid as an Auxiliary Primary teacher under the Convenio X. Due to expansion we need suitably qualified teachers to join our team at Sage College! Experienced and fully qualified British KS2 teachers are required to teach one of the Core subjects (Mathematics, Science or English) as a specialist subject, following the British National Curriculum in KS2. We would prefer a British trained native English speaker with experience of teaching the British Curriculum however we will accept NQTs. The positions are full time – 33hrs. You would be required to be a mentor for one of the KS2 groups which would require the delivery of PSHE and Topic classes in addition to the specialist subject. You would also be responsible for review meetings with the parents of your mentor group, accompanying the group on excursions and school events. Sage College is the only British school in the province of Cadiz in Southern Spain. We are a small, family orientated community with a strong emphasis upon our teaching team. Sage College follows the convenio X for salaries in Spain but can also offer on-site subsidised accommodation for single teachers, or free places for teacher’s children. All candidates would be expected to provide references and a recent DBS or equivalent. Fully qualified SECONDARY English teacher to teach our first language English stream in KS3, First Language English IGCSE, English Literature IGCSE in KS4 with the possibility of A Level English in KS5. You would need to be a fully qualified native English teacher with recent experience of teaching the subject in British or International schools to at least IGCSE level. Sage College would like to offer school leavers 18+ with a good level of English ( B2/C1) or native speakers, the opportunity to work and train with us. We can provide half bard accommodation in exchange for a minimum of 25 hours of work within our new Early Years department. You can work towards one of a series of Internationally recognised Teaching assistant qualifications accredited by a UK training agency. You will be mentored through the course by our amazing Head of Department as well as your personal online tutor. Depending on the course you chose, the period of commitment would be between 6 months to 18 months. Native Primary Spanish/Catalan teacher required for a part time position at Queen’s College, Palma de Mallorca. King Richard III College, Mallorca has an opportunity for an experienced and committed teacher to lead our ICT & Computer Science department from January 7th, 2019. The successful applicant will have experience in teaching at all secondary school levels up to and including A Level computer science. provide the details for 2 references and a recent DBS or equivalent. Due to expansion we require for September 2018, fully qualified and experienced Primary teachers. Experienced KS1 teacher to teach the British National Curriculum subjects to our small Year 1 class of 16 students. We would prefer a British trained native English speaker with experience of teaching the British Curriculum. We would accept NQTs. Sage College follows the convenio for salaries in Spain but can also offer on-sitev subsidised accommodation for single teachers, or free places for teacher’s children. All candidates would be expected to provide references and a recent DBS or equivalent. Experienced EYFS teacher to teach the Foundation Satge Curriculum subjects to our small Reception class of 16 students. We would prefer a British trained native English speaker with experience of teaching the British Curriculum. We would accept NQTs. We are looking for a full time Business and Economics teacher to join our secondary department. You would be responsible for teaching the KS4 IGCSE Business Studies syllabus and KS5 AS/A Level Business and AS/A Level Economics. Sage College follows the convenio for salaries in Spain but can also offer on-site subsidised accommodation for single teachers, or free places for teacher’s children. All candidates would be expected to provide references and a recent DBS or equivalent. Ability to offer other subjects an advantage. 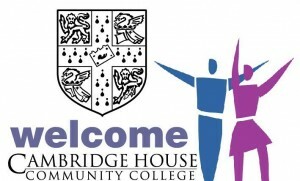 Cambridge House Community College is a thriving British school with around 1600 students aged 3-18, located around 15 minutes from the centre of Valencia. The school has excellent teaching facilities, friendly, hardworking and supportive colleagues and cheerful, high-achieving pupils. We wish to recruit an enthusiastic and dynamic specialist teacher of French to our successful and expanding school. The successful applicant will be able teach across the secondary age and ability range. We are looking for someone to join an experienced and successful department who has a passion for developing high quality teaching and learning which ensures excellent student progress and engagement. Interested in enjoying a positive teaching experience in Spain? Please send your CV, a photo and a statement in support of your application to Nick Simpson to nick@cambridgehouse.es (Senior Leadership and Management Team). Cambridge House Community College is a thriving British school with around 1600 students aged 3-18, located around 15 minutes from the centre of Valencia. The school has excellent teaching facilities, friendly, hardworking and supportive colleagues and cheerful, high-achieving pupils. Favourable conditions of service and help with relocation available. Cambridge House is committed to safeguarding and promoting the welfare of children and young people and expects all staff to share this commitment. Successful applicants will be expected to have undertaken an Enhanced Disclosure via the DBS process and/or local police checks. Canterbury School offers a British education across all Key Stages and a high level of education in the Spanish system. This enables our students to access the university of their choice at the end of their school career. The school is housed over four sites and caters for children from the age of 2-18. For more than 40 years we have been preparing children to take their place in the world as responsible, informed and culturally aware citizens. We believe that the professionalism of our teachers, the excellence of our facilities and the warmth of our educational philosophy offer the perfect environment for every pupil to achieve their full potential. 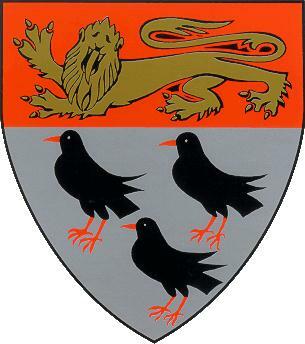 Canterbury School is a member of the National Association of British Schools in Spain. Candidates must have the appropriate qualifications for teaching Science. Experience teaching IGCSE Physics and Chemistry, AS/AL Physics examinations will be highly valued. Speaking Spanish is not essential though could be advantageous. Salary is paid according to the Spanish pay scale. Be excellent classroom practitioners who are caring, enthusiastic and committed. Have high expectations of achievement and behaviour in all children. Be reflective, creative and flexible. Be committed to making a positive difference throughout the school. Canterbury School is committed to safeguarding and promoting the welfare of all children. The position is subject to enhanced disclosure procedures. Candidates must have the appropriate qualifications for teaching English. 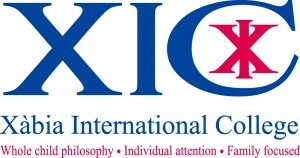 Experience teaching IGCSE, AS/AL and ESOL examinations will be highly valued. Speaking Spanish is not essential though could be advantageous. Salary is paid according to the Spanish pay scale.